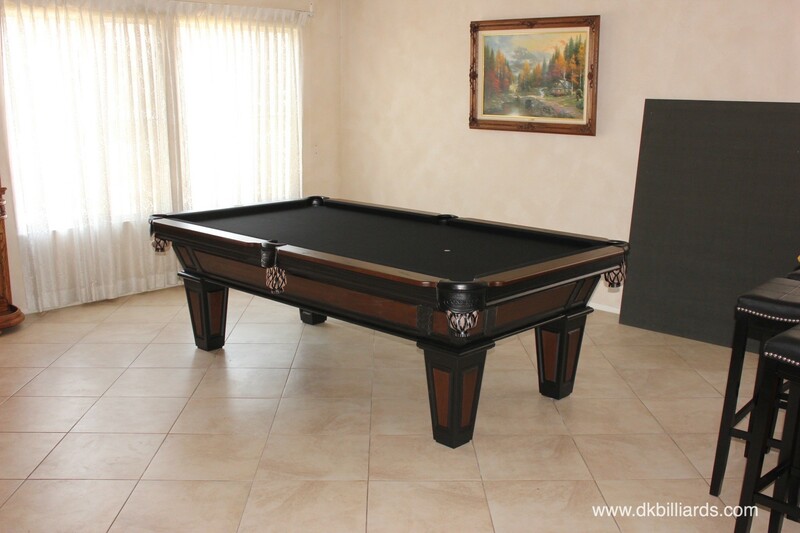 Our Cypress, California customers were in search of traditional pool table with a bit of contemporary edge. We were able to tick off all items on their request list along with one that wasn’t. During their showroom visit, this family fell in love with the accessory drawer on our Scottsdale model. 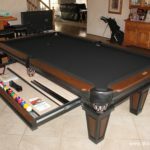 This 8′ solid oak made-in-the-USA Connelly Cochise hit the bullseye. Our customers custom ordered this panel leg design with optional two-tone finish in medium and black. Black genuine leather pockets and black felt make a statement against the travertine tile. 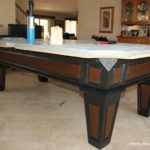 The stains tie in with the classic oak and black furniture in the home. 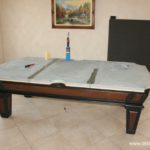 The built-in drawer neatly stores cues, balls and triangle out of sight. 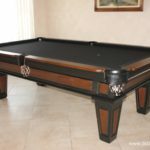 The Cochise is part of Connelly’s Plateau Collection and includes 2″ thick cabinet, premium cushions, 6″ rail surface, and industry best 1.25″ thick certified tournament slate. 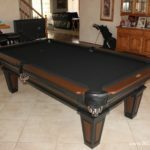 Visit our family owned and operated Orange County Billiard Showroom and let us help you find the perfect model for your home at a price you can afford. 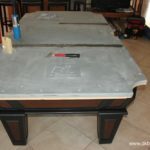 We are friendly and use a no pressure sales strategy. Stop by to see how we are refreshingly different from our competition.